Gose is a 40-year-old woman with ten kids all still fully dependent on her. She now lives in Badje Kandala, an IDPs camp near Duhok. 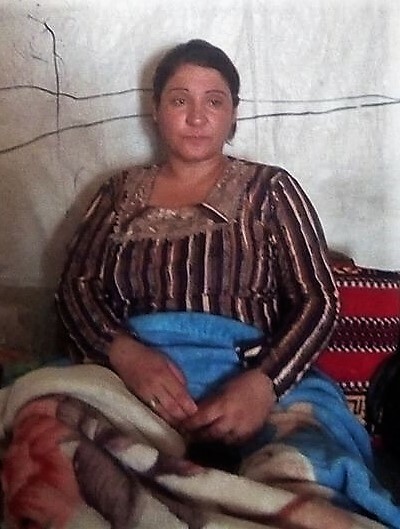 Gose escaped ISIS in August of 2014 from her village Douguri in Sinjar mountain. During the escape, her family was separated from one another and two of her children were kidnapped by ISIS. One of them, a young boy affected by Down Syndrome, was able to make it back with other relatives but the other one, a girl, is still missing. 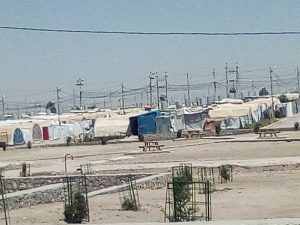 The family is now surviving only of the small camp support for IDPs (16 USD per person per month) because there are no jobs available. One of her children was recently affected by a heart defect but they were able to collect enough money from other families in the camp to treat him. Now her youngest kid who is a 1-year-old boy is also affected by a heart genetic defect and is in need of special care. In addition, probably because of the accumulated stress, Goze has now developed a back problem for which she can barely move. We want to help her by providing her with further examinations to properly understand the issue and by supporting the cost of physiotherapy. Any small donation is very much appreciated!